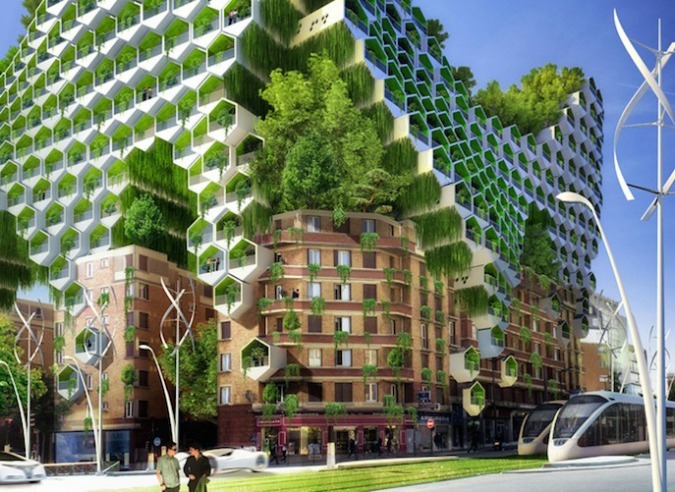 According to architect Vincent Callebaut, the Paris of 2050 could look very different than the city we know today. The architect recently unveiled plans to transform the famous locale into a futuristic “smart” city. His design is a nod to the metropolis’ historical architecture as it’s punctuated by flourishing, eco-friendly structures, and was commissioned as part of the Climate Energy Plan of Paris. 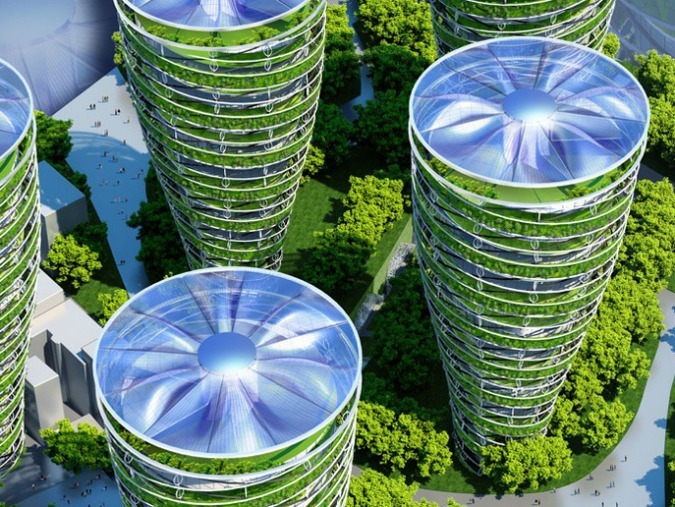 Buildings use green construction strategies like passive heating and cooling, rainwater recycling, and living green walls. These unique walls are especially helpful because they infuse the urban atmosphere with fresh air. 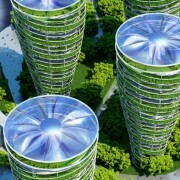 Exteriors of the honeycomb-esque towers are solar energy generators that harvest sunlight and produce biofuel. And, using “phylolights” produces light and energy thanks to wind turbines. Buildings are mixed-use and encourage the integration of residential and commercial enterprises. By having all these things within walking distance to one another eliminates the need for daily transportation and cuts the fuel pollution in the air. (source).